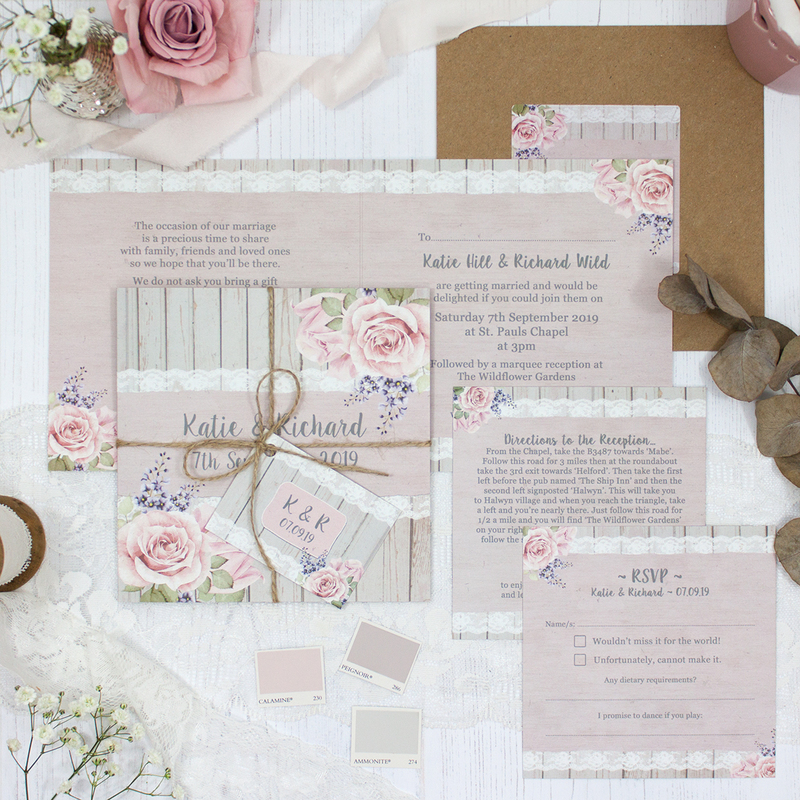 Wedding invitation sample pack including an RSVP, info card, string and tag, envelope and label in the Mink Rose Collection design. Clusters of wild roses entwined together over an archway in the summer garden. 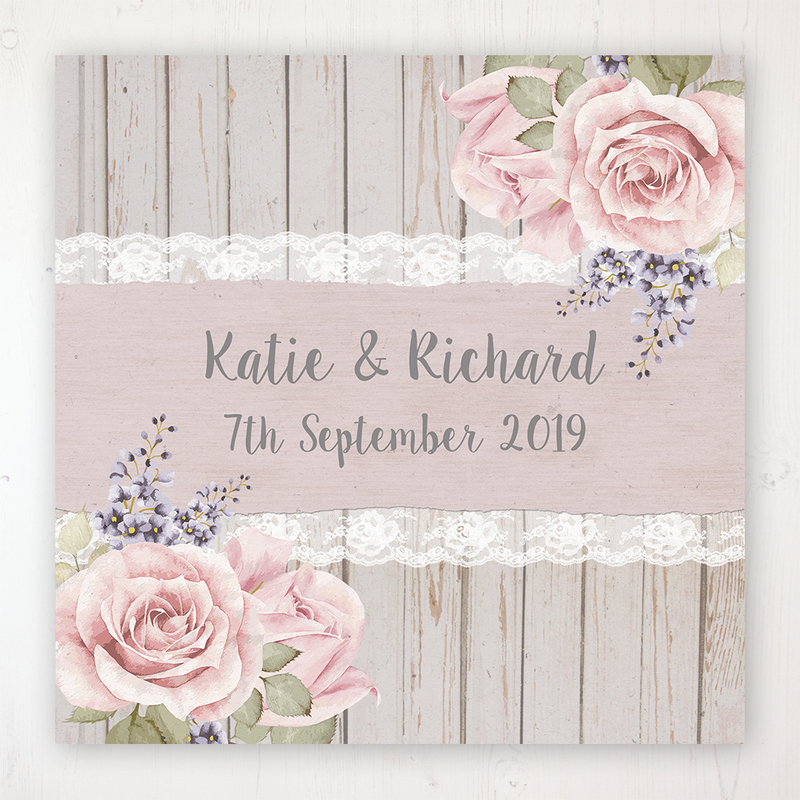 Delicate dusky roses with layers of pastel textures and floral lace detailing, gives this collection a true vintage garden feel.